[SatNews] Global satellite solutions provider SES Government Solutions (SES GS) has agreed to a one year contract with the National Oceanic and Atmospheric Agency (NOAA) to provide O3b Networks’ services and ground equipment to the National Weather Service Office (WSO) in Pago Pago, American Samoa. NOAA’s WSO supports the National Weather Service (NWS) mission to provide weather, water, and climate data, forecasts and warnings for the protection of life and property. The WSO also provides critically important tropical cyclone warning information to portions of the Pacific. The contract allows NOAA to expand their broadband connectivity outside the continental U.S. to facilitate the wider dissemination of weather and data forecasting. The O3b ground equipment and services at WSO Pago Pago will be key elements of NOAA’s communications link to meet these mission requirements. This particular implementation will enhance NOAA’s existing terrestrial connectivity with the use of O3b’s high throughput and low latency bandwidth. NOAA's National Weather Service Office in Pago Pago, American Samoa. 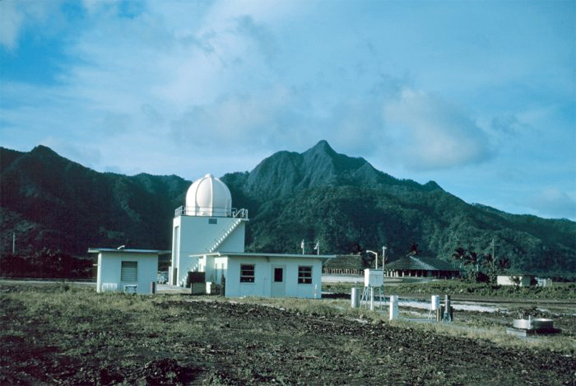 An uninterrupted high-speed data connection between the NOAA station at Pago Pago and the primary Pacific NWS center on Ford Island in Honolulu, HI is essential for NOAA to update forecast models and issue safety warnings in near real-time. Many Big Data files are transferred between the two stations, including weather maps and seismic sensor data. By connecting over the O3b constellation, NOAA can accelerate their analysis while reducing reaction times to weather or seismic events. 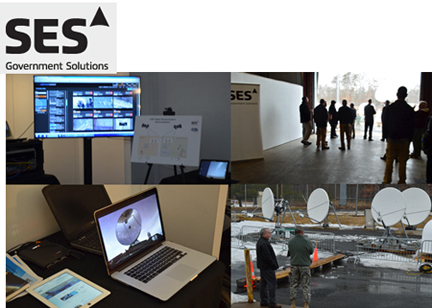 The addition of O3b’s ‘fiber in the sky’ solution to NOAA’s current ground network is a prime example of how O3b’s capabilities can enhance the U.S. Government’s current data dissemination networks.